I have been using Piwik for a couple of months and I love it. I started using it first at my internship at leadelephant.com, not really as an analytics tool, but more as a data collection tool. 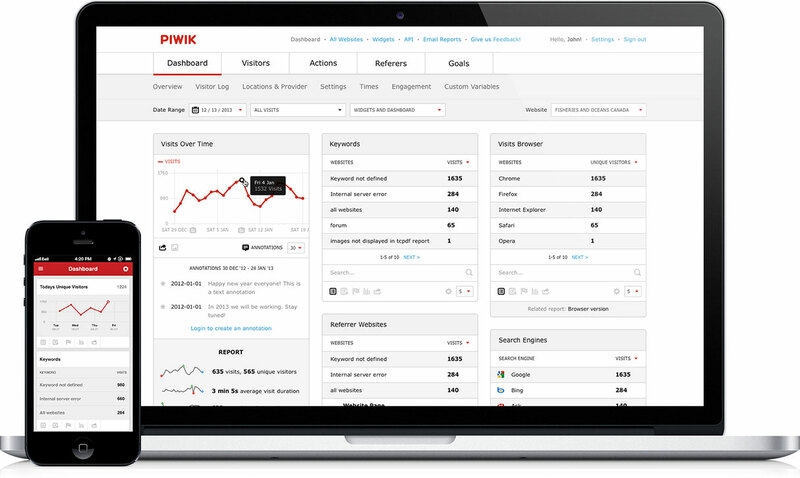 The main goal of Piwik is an analytics tool, a direct competitor to Google Analytics. But it's really more than that. Like the data collection method I just mentioned, it could also be a community monitoring tool, which is how we use it at Habbies.nl. If you're using Cloudflare, you might want to tweak the config file to start using X-FORWARDED-FOR headers. Other than that it's just a quick install and you're done! I run both Google Analytics and Piwik. I use Piwik daily, to check up on real-time visitors and trends. I use Google Analytics for end-of-the-month kind of actions, looking at the aggregated data. There are a lot of blogposts already comparing GA with Piwik, but as you can see, you don't have to pick one. So take 5 minutes out of your day and download and install Piwik.